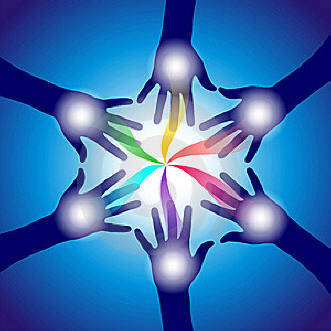 Touch Healing- Here reiki energy is channelled by the reiki practitioner and it is transferred to the healee by touching them physically and the touch is required for better connection of reiki energy flowing into the healee. Beaming - A beam of reiki energy is sent from the hands to various parts of the body of the healee to heal him without touching him. Combing- This is the process by which the energy body of the healee is combed with energy to remove inconsistencies in the energy. Laser healing- A highly intense concentrated thin beam of energy is sent from the fingers into areas of distress. This process is similar to that of a laser beam and releases entangled energy easily. Projecting reiki with reiki symbols and intention.- Intentional reiki is carried out by just the thought of the reiki energy to be applied and healed . This is augmented by the use of various reiki symbols. Scrubbing (Extended fingers) - Scrubbing is the process of removing all the psychic debris from the body. This process is done at the master level by extending their fingers using reiki and then scrubbing at the level of energy by making circular motions and disposing the released energy into the violet cosmic flame for transmutation. Scanning- This process aids in getting information about the state of the aura. Once a person is attuned to reiki energy he becomes very sensitive to energy and can scan the energy with the help of their hands. This helps to give wonderful insights about the aura and chakras. Distant Healing - This is remote healing from one place to another. This process is also called absent healing. This is possible with reiki it is very effective and works wonders.